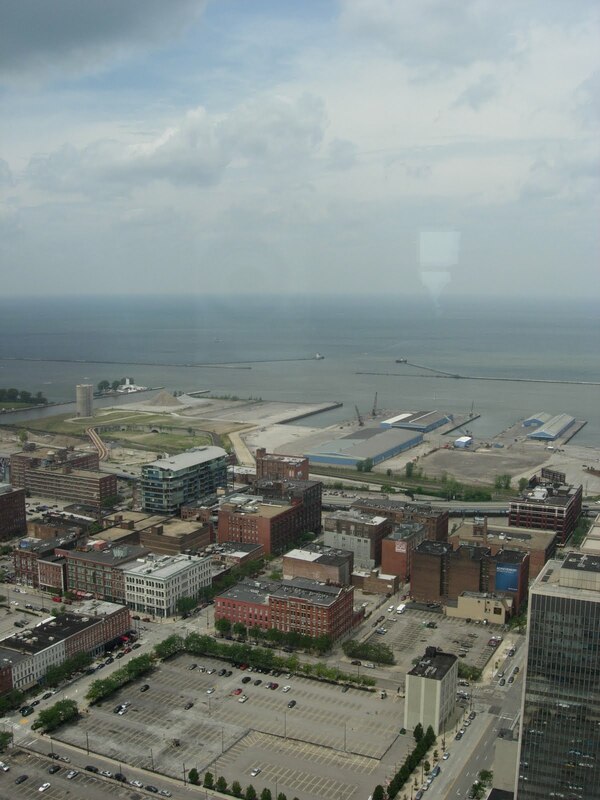 When I found out that the Terminal Tower in Cleveland would be opening for a few weeks this summer, I knew I had to check it out. 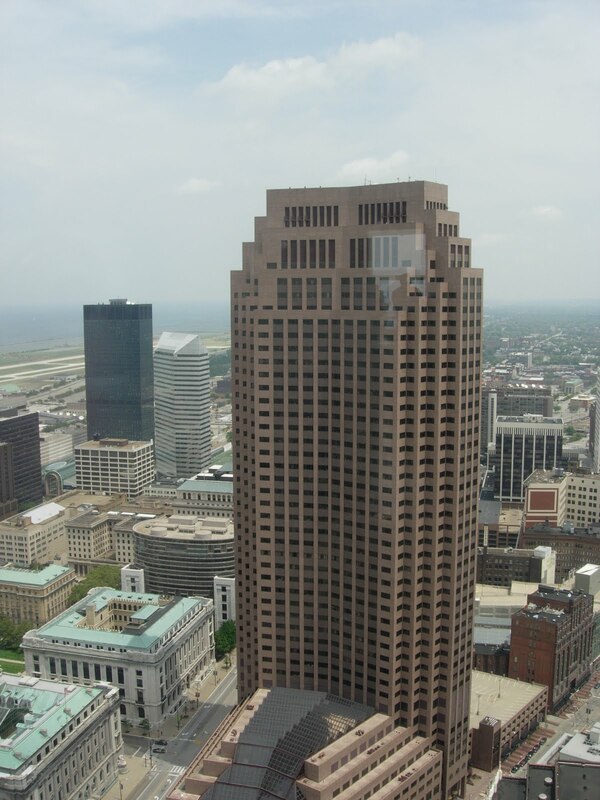 Chicago has the Sears Tower, New York, the Empire State Building, but Cleveland has the Terminal Tower. The last time it was open was before 9/11. I had never gone up the tower before that. 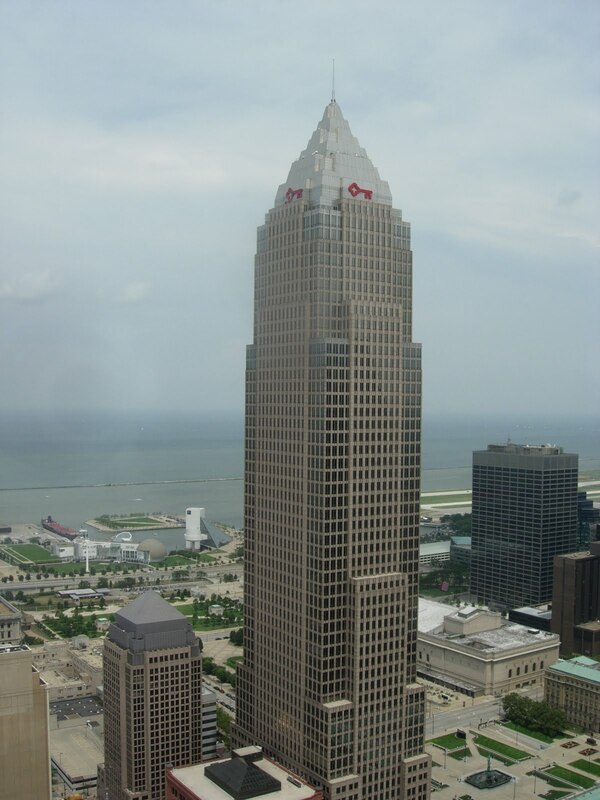 It was interesting to find out that until 1964, it was the tallest building in North America outside of New York. 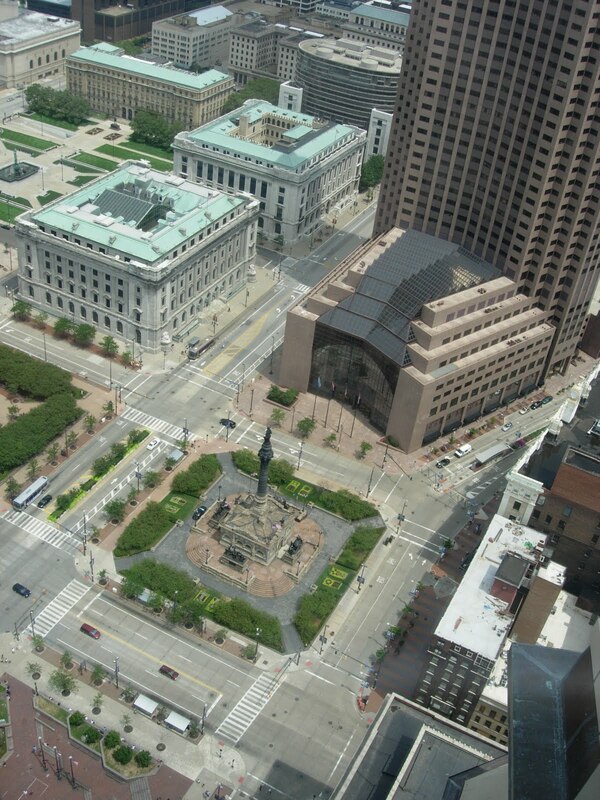 Here are some shots of the city from the 42nd floor. 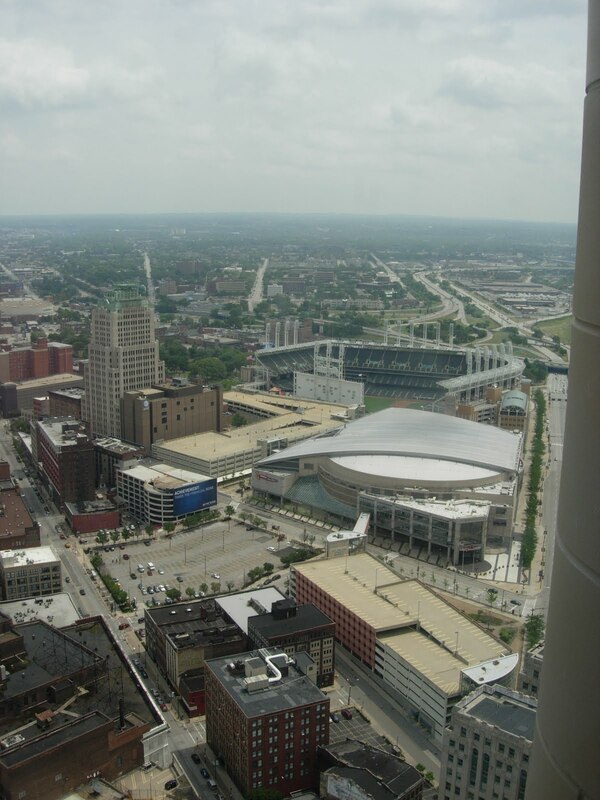 Jacob’s Field (Progressive Field) and the Gund Arena (Quicken Loans Arena). 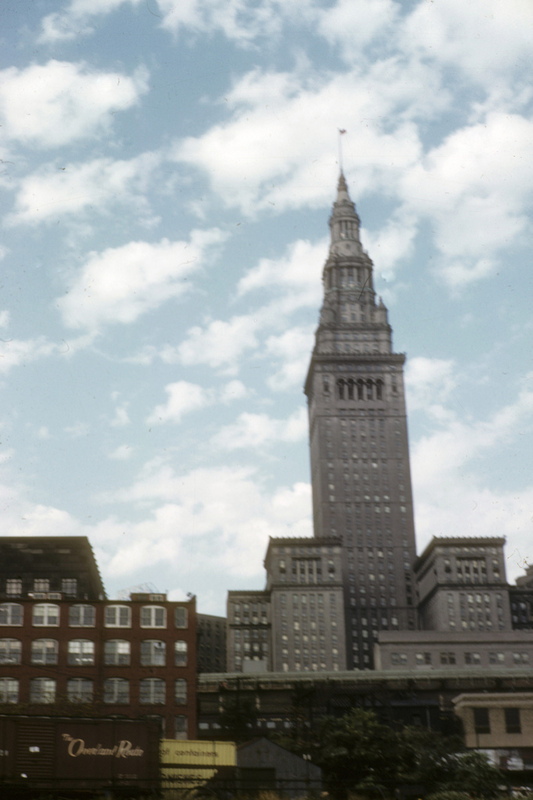 A photo (Kodachrome) of Terminal Tower from the mid 50s courtesy of Michael Williams of A Continuous Lean. 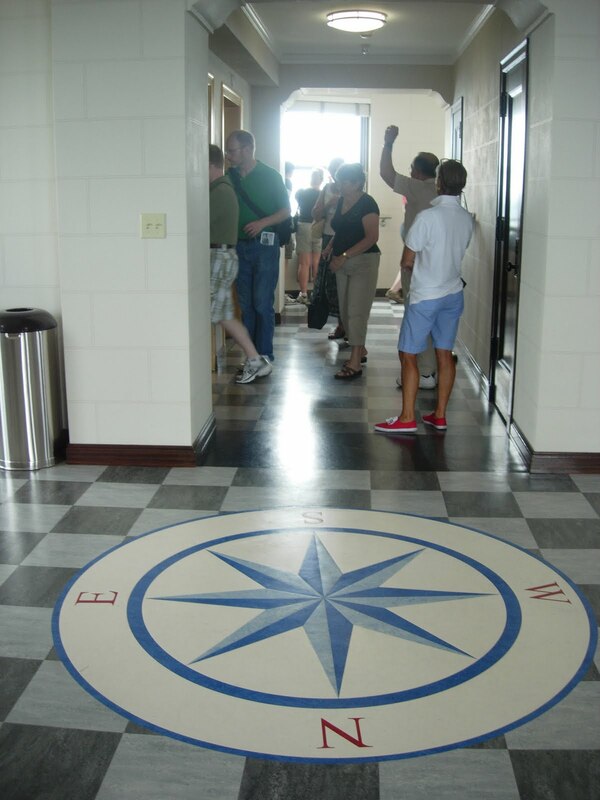 The tower went through a five-year $40 million-plus makeover after it closed post 9/11. Very cool! Have not heard of this. NIce pictures! btw what did you think of MM last night?